摘要 时下，中医药文化进校园活动遍地开花、如火如荼，但问题与反思也接踵而来，其实际效果成为大众舆论的焦点。因此，探索和构建具有普遍推广价值的中医药文化进校园实践模式很有必要。本文将从中医药文化进校园的实施对象、实施主体、实施途径研究着手，以江西中医药大学长期探索实践形成的“双向模式”为例，重点阐述中医药文化进校园可持续的有效实践。 Nowadays, the traditional Chinese medicine culture into campus activities blossom everywhere, like the raging fire. But the questions and reflections also followed. Its actual effect has become the focus of public opinion. Therefore, it is necessary to explore and construct the practice model of traditional Chinese medicine culture into the campus which has universal popularization value. 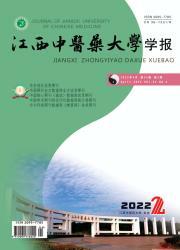 This paper will begin with the implementation object, the implementation subject and the implementation way of the traditional Chinese medicine culture into the campus, taking the ＂Two -way Mode＂ formed by the long -term Exploration practice of Jiangxi University of traditional Chinese Medicine as an example, focusing on the sustainable and effective practice of traditional Chinese medicine culture into the campus.